4:14pmET: Dallas is getting dealt death blows...Ezekiel out hurts but is not lethal - Tyron Smith out is the real killer. That hurts bad. The Computer says Atlanta by 0.2 now...waiting for the Dez news. 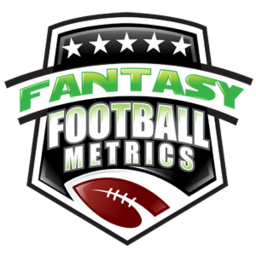 You have to bet on Alfred Morris to begin with but I have a funny feeling Rod Smith is going to matter, a lot, maybe this week on three weeks from now. DMC not so much. Paul Richardson 'limited' talk. Seattle has too many other WRs to jerk around with an unsure PRich. I bet he is inactive, but if he is active...I have to assume he's pretty OK to play. -- if E.J. Gaines returns for the Bills...that's another positive for the Bills to hang with/upset the Saints in bad weather this week. He's back practicing. -- Zay Jones looks like he won't be able to play due to his knee injury. He fought through 2nd half last week but hasn't practiced this week. -- Paul Richardson expected to play now...but I wouldn't trust that yet. Game-time decision I think. If PRich is out, Lockett is a sweet play. If PRich can play...he could be limited, etc. it makes a Lockett play a muddy mess. -- My Matt Forte excitement for Week 10 is taking a punch to the nose. Another missed practice...Bilal Powell in play. -- David Johnson is sketchy to return in 2017, but Cards rookie T.J. Logan is trying to get back, FYI. We'll know in a week or so.